Windows Server 2008 R2 RTM is here. Programming done. Code frozen. That means for organizations looking to take advantage of the significant performance, productivity and cost-saving features inherent in the new Windows Server and Windows 7, the time to start planning, testing and deploying is now. Fortunately, you don’t have to feel like pioneer when beginning your R2 project today; our early technology adoption customers have had great experiences with Windows Server 2008 R2. A recent Forrester study of 318 senior IT decision makers and C-level IT execs worldwide shows that mobile workers will increase between 10-15% in the next 18 months; also that only 38% of employees work in an “HQ” office and that 20% of the remaining branch office workers are chronically unhappy with their network experience when communicating with HQ. Forrester found that an overwhelming 68% of the survey’s respondents were struggling with mobile and remote computing management and that most had to reduce their increasing VPN spending–15% of them are spending more than $100K annually in that department. Sporton International is saving $30,000 a year on WAN bandwidth costs with BranchCache, and was able to increase its revenue 5% by more easily keeping its sales people in the field with DirectAccess. Convergent Computing saved $40,000 in ongoing VPN management costs with DirectAccess and another $20,000 because it didn’t need to buy additional VPN hardware next year; it also showed a direct correlation between BranchCache’s better network experience for users and customer satisfaction at those branches. Those are just two customer examples concerning only two out of the dozens of new features in Windows Server 2008 R2 and Windows 7. And these results were obtained not over a long period of time, but only during our limited early adopters program. It’s pretty clear that Windows Server 2008 R2 will impact your business positively; and it’ll do that as soon as you deploy it, not months or years down the road. But you have to deploy it. Fortunately, Microsoft is providing a slew of information and tools to help you with your OS planning, testing and migration projects, both for client and server OS migrations. Check out our highly valuable Solution Accelerators for loads of free tools and information as well as inroads to professional services if needed. 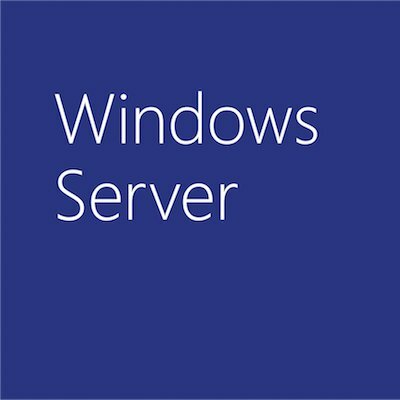 The Windows Server Technical Resource page has deployment and product guides for both Windows Server 2008 and Windows Server 2008 R2. A real deployment goldmine is the TechNet Windows Server 2008 R2 Deployment page, which contains in-depth technical content for both deployment and planning. And for your application testing, don’t overlook Windows Server 2008 R2’s Application Compatibility Resources page. In case you haven’t noticed from my tone, we’re hugely proud and excited about Windows Server 2008 R2 reaching RTM. This is the best Windows Server OS I’ve ever seen and I encourage you to begin planning, testing and deploying this code as soon as you can. As always, thanks for reading and I encourage any and all feedback.